SAN DIEGO – The Maritime Museum of San Diego, along with San Diego Heritage, will host the 24th annual Sea Chantey Festival aboard the museum’s Star of India, Aug. 28. Guests will exit a world where Taylor Swift hits dominate the airwaves and enter one where songs about dangerous ocean crossings and the romance of life at sea will take center stage. 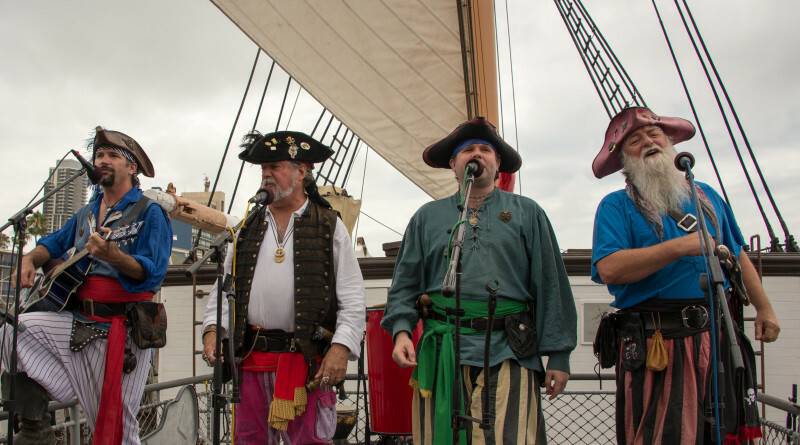 The daylong event will be filled with sea chanteys and traditional folk music performed by local and national artists such as Kick Up the Dust, Raggle Taggle, The Jackstraws, The Bilge Pump Band, Gilman Carver and John Kraus and the Goers. The songs often recount the adventure, tragedy and life at sea. During the event, the Star of India sail crew will demonstrate various shipboard skills traditionally accompanied by sea chanteys and visitors will have a chance to join in and raise the ship’s sails. The event will be held from 11 a.m.-4:45 p.m., Aug. 28 at the Maritime Museum of San Diego, 1492 N. Harbor Drive. Adult museum admission is $16; seniors and military are $13 and children 12 and younger are $8. For more information visit sdmaritime.org or call 619-234-9153.